DOCTORS and dietitians are constantly reminding us to cut back on salt, but this natural substance could be the key to avoiding illness during the change of seasons. Nutritional Health and Wealth co-owner Leanne Dobbin said the change in seasons from winter to spring often marked a rise in hay fever and sinus issues. 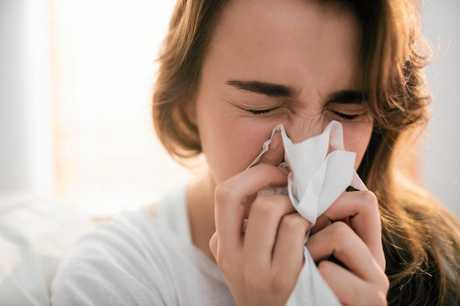 With our immune systems already having suffered through flu season and dry conditions, it's the perfect time for hay fever to strike, Mrs Dobbin said. "Especially with all this wind, it blows all the dust and the dirt around," she said. 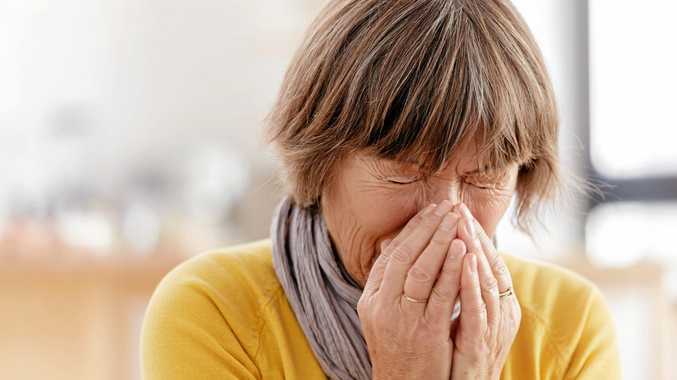 A spike in the sale of nasal sprays and decongestants around this time of year are telltale signs of more people suffering from nose and sinus afflictions. This can also spread into the chest and irritate the eyes, Mrs Dobbin said. But there's another remedy people in Warwick have been turning to, and it doesn't involve sticking anything up your nose. Eye-catching and heartwarming, Himalayan salt lamps have more to offer than their iconic pink glow. Mrs Dobbin said many customers were seeking out the air cleansing properties of salt lamps. The theory behind how they work has nothing to do with sodium levels inside your body and everything to do with nasties in the air. Salt is naturally hygroscopic, which means it attracts water molecules to itself. The theory goes that salt lamps attract water molecules in the air. Since water in the air can also hold allergens, pollutants and even bacteria, these substances get attracted to the lamp too. Drying out the water vapour with heat, particles are left attached to the salt. Mrs Dobbin said a lot of remedies focussed on the internal body instead of trying to change the environment. 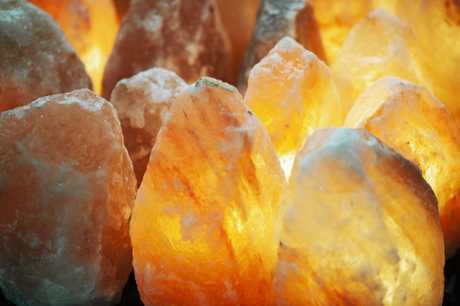 "Salt lamps are really good to cleanse the air for people with hay fever and asthma," she said. Combined with regular and adequate water intake and a good amount of rest, having a salt lamp in your house can help our bodies cope with the change of seasons, Mrs Dobbin said. "You do see people coming out of flu season and getting sinus problems." And the best bit about salt lamps? They just look so pretty!